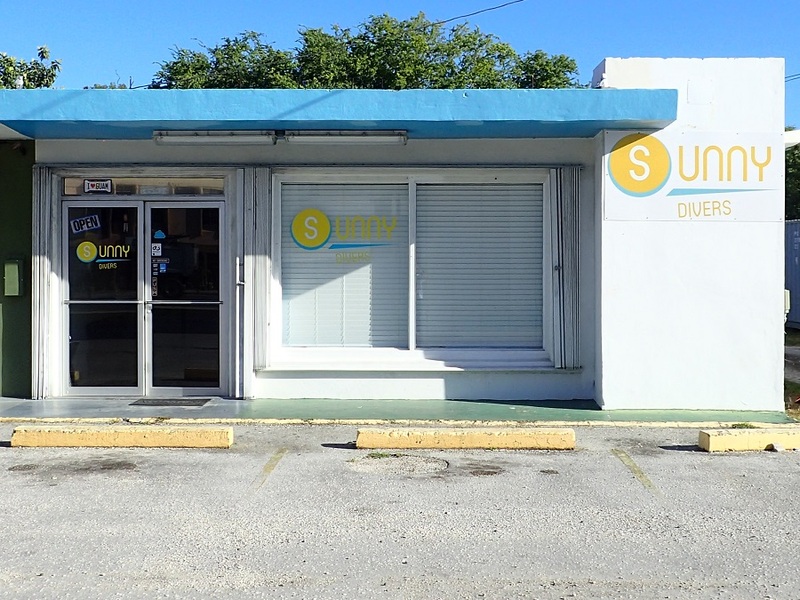 Owner of Sunny Divers. Bilingual Japanese diving instructor born and raised on Guam. 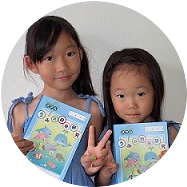 Recently studying Korean. 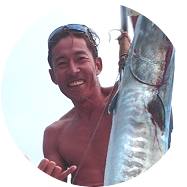 Working in Guam’s marine business for 20 years doing Dolphin watching guide, Diving and Boat captain. 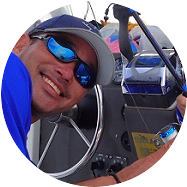 Joeito is the main captain and fishing guide. Very energetic and a very popular among the guests. You will always enjoy the time with him. When it comes to surfing, he is a legend on Guam!!! Born on Yap. 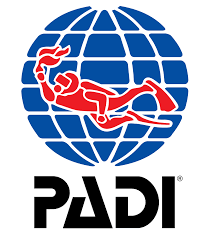 Worked in Palau for about 10 years, mostly working on live-a-boards. Very calm and quiet but works very hard. 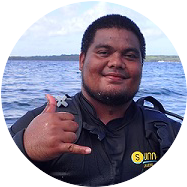 His skills in the water is top-notch because of his experience in Palau! He is like a big teddy bear. Currently working on his Japanese language skills. Umika(right) Ino(left) are the Sunny Divers monster! They both raised on Guam love the island and the ocean. They can talk in English and Japanese. Always asking to see FISH!!! Warning: If you see them be very careful!! !